Friendship is Magic – Part 2: In this episode, Nightmare Moon is freed from her imprisonment and begins to shroud the world in eternal night. Twilight Sparkle and her new friends must find the Elements of Harmony to stop Nightmare Moon. Griffon the Brush-off: In this episode, Pinkie Pie and Rainbow Dash bond by playing pranks on the other ponies, but when Rainbow Dash’s old friend, Gilda the Griffon, shows up for a visit, Pinkie gets left out. 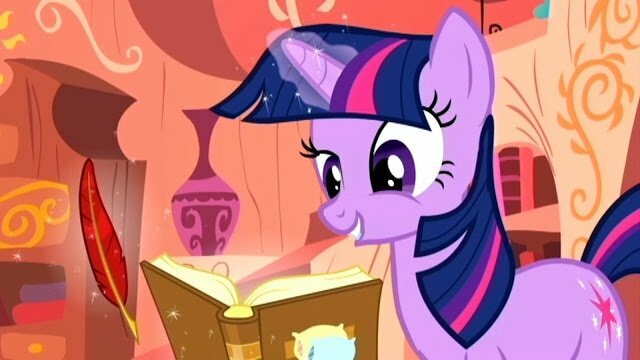 Look Before You Sleep: In this episode, Applejack and Rarity are forced to stay at the library where Twilight resides for the night due to a thunderstorm. Twilight takes this opportunity to drag them into having a slumber party. Swarm of the Century: In this episode, a swarm of pests called parasprites find their way into Ponyville, causing chaos and threatening to ruin Princess Celestia’s visit to the town. Owl’s Well That Ends Well: In this episode, Twilight Sparkle befriends an owl who becomes her second personal assistant, to the displeasure of Spike. Unknown to me the episodes included on the DVD are not actually in the running order of the series, I’m guessing that the DVD is more of a ‘best of’ DVD than a series disc. This being said it didn’t bother either Roo or I when we sat down to watch the six episodes included as we hadn’t seen any of them before. The DVD lasts over 2 hours so great if you are going on a car journey or something that you can switch on and off once an episode has been watched. 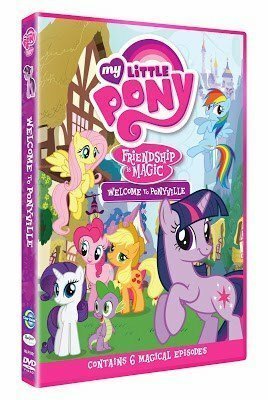 Disclosure Policy: We received a promotional review copy of My Little Pony: Friendship is Magic – Welcome To Ponyville DVD FOC for the purpose of review.